Okay, my beloved readers, I am finally ready to confess and reveal a deep, dark secret about myself previously unknown to virtually anyone. I know, I know. Remain calm. 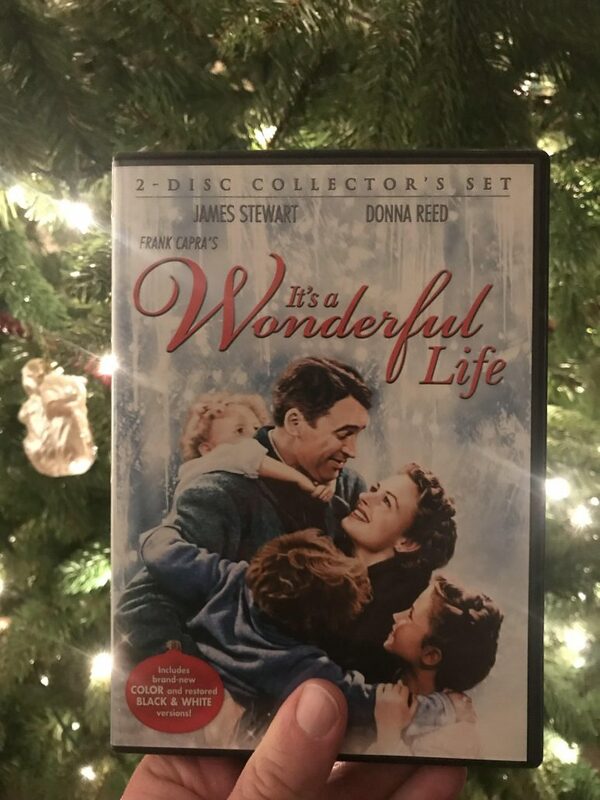 It’s this huge Christmas classic that absolutely everybody loves, and I was previously guilty of a heinous heresy, but I have repented now and everything is going to be okay. After all, it is over two hours long and it seems like it was never on when I had that kind of time to sit around watching a black and white movie. Those excuses evaporated when I obtained the ability to stream movies via the internet and I found a superbly colorized version. It really is a wonderful movie, as Steve Ware and Allen Jones were discussing on Monday morning. As Allen pointed out, it’s not 100% theologically correct, but hey, it’s Christmas and even though angels are not human beings who earn their wings whenever a bell rings, the larger point is theologically correct. We all have much to be grateful for. We are all put here to bless others and love others. We are all loved by a good and gracious God who would do anything to save our souls. It really is a wonderful life God has given each of us! So, I must confess that I am a convert. 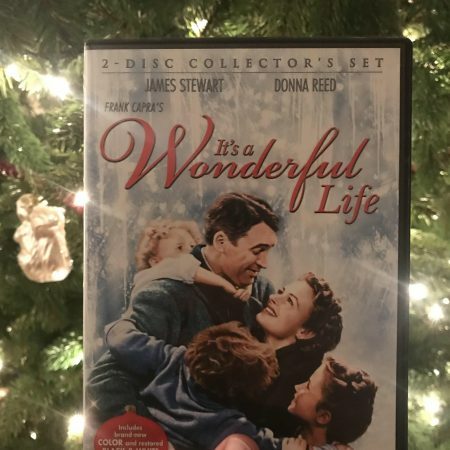 I am now a fan of “It’s a Wonderful Life” and I plan to watch it again. It’s also really wonderful that Kinship Christian Radio is holding a contest during the Christmas season called “It’s a Wonderful Bell.” At random times throughout the Christmas season, the announcer will play a bell sound. If you are the first person to call the radio station at 800-810-5559, you will win a beautiful wooden bell Christmas ornament hand-made from an olive tree that grew in Bethlehem. But wait, (as the announcer might say) one of the times when you hear that bell, you could win the GRAND PRIZE of a collection of eight Christmas CD’s from artists that include (drum roll please) Lauren Daigle, Casting Crowns, Keith and Krysten Getty, and Steven Curtis Chapman. The film won only ONE Academy Award and it was in the Technical Achievement category for developing a new method of creating artificial snow. Before It’s a Wonderful Life, fake movie snow was mostly made from cornflakes painted white. It was so loud when stepped on that any snow-filled scenes with dialogue had to be re-dubbed afterwards. RKO studio’s head of special effects, Russell Shearman, developed a new compound, utilizing water, soap flakes, foamite and sugar. “Foamite” is a fire-extinguishing substance composed of licorice in a solution of bicarbonate of soda. So, enjoy the Christmas season brothers and sisters in Christ. Enjoy the nights by the fire watching movies and shows that bring back warm memories. Enjoy the Christmas music and preaching on Kinship Christian Radio and the warm feeling that comes from knowing that the One True God sent a baby named Jesus to be born in a manger that we would all, through belief and trust in Him, be granted the wonder of eternal life with him! Giving Thanks Make Way for the King!